Across the Civil Service, we want our public-facing digital services to be the best they can be, and they are assessed against a rigorous set of standards. But what about the services that civil servants use? They should be just as good, and the Government Digital Service (GDS) is working on the best way to apply the same standards to our internal services. Civil Service Learning’s (CSL) new booking service was the first internal service to be assessed by a GDS panel. Even though it did not pass first time, their experience shows the benefits of going through the assessment and receiving feedback. John Fitzpatrick, Head of Digital at CSL, picks up the story. 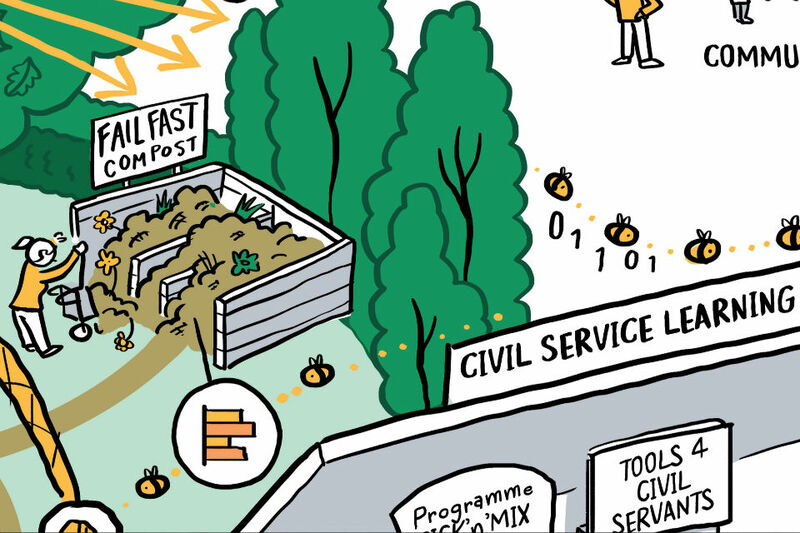 Transforming a digital service that the whole of the Civil Service uses is an exciting and complex challenge. I’m really proud of taking our new booking service into the first cross-government internal GDS assessment. At CSL we are redesigning ourselves around our user needs, renewing our learning contracts and improving the quality of learning. But with new learning suppliers on their way in the New Year, we need a new booking system urgently. It was, admittedly, a bit of a battle getting the team onside. Most didn’t think we should go for assessment until we were ‘ready’ in a couple of months, when, undoubtedly, the odds of hitting the mark would be stronger. But if we did fail then, we’d have run out of money to take on the recommendations, and would risk the live service being unavailable. We’d also lose the knowledge and commitment of the exceptional team who’ve spent months designing and building our new digital service – and the confidence of CSL’s leaders that we could succeed without spending a lot more money. Failing fast is an Agile principle: it’s cheaper, you learn and iterate, improve quicker and ultimately get better outcomes for your users. In my experience in government, we’re still not comfortable with failure. But it’s part of life, like learning to walk – we tumble for a few weeks before we get steadier. So, why do we get so hung up about it at work? It’s not about setting out to fail but about taking a calculated risk, and the benefits far outweigh the costs. It’s much more valuable to receive expert advice sooner rather than later. One of the perceived penalties of a negative assessment is reputational damage. But learning, and improving as a result, is more important than saving face and not delivering on our commitment to the taxpayer. And we’ve been able rapidly to implement the recommendations from a cross-government panel of experts – and that has already accelerated our progress. It’s my job to look ahead for things that could block progress or reduce our effectiveness. We unblock things daily, but some blockers are bigger than our team. One of the standards is to test the service with all browsers and devices. We can do this, but we know more than 250,000 of us can’t watch a media clip on work computers, despite moves in government to make this possible. While there’s some great work going on in many departments to modernise IT, we can’t break down these barriers without help. The recommendations from our assessment provided leverage to raise issues like this with senior stakeholders across departments. We had a great couple of days preparing for the assessment. We went through our work, understood it to a new depth, and went in knowing our strengths and where we needed to improve. Armed with nothing more than a MacBook and some doughnuts, we rocked up to a four-hour questioning session from a panel of experts and observers. It left us so exhausted that I caused a minor panic by accidentally picking up our developer’s MacBook instead of my own! The outcome was that we have not yet met the standard. But the good news is that we weren’t far off, and we’ve learnt so much. The assessors told us that “the team clearly has the leadership, desire and capabilities to develop, test and iterate services in line with the standards we would expect at this stage”. And the main recommendations have already been implemented. So, watch this space to see how we do in our next assessment in a couple of months’ time! Sir, I have had a look at the links to the digital and the testing which indicate that it is focused at the system core users: would I be right in thinking that people with disabilities are not considered core users since there is no stated requirement to meet the web accessibility standards, eg, http://www.w3c.org/wai ideally at level AA of version 2 of the standard. There is no requirement in the 18 points and the user testing report fails to mention any testing with the standard “reasonable adjustment” supplied software across the civil service. I know quite a few of the current CSL products are not compliant with the standard which leaves many potential users struggling to use the system. May I suggest that you engage with the pan government Civil Service Disability Network (CSDN) who I know would be happy to help. My name is Angela and I’m a user researcher working on the new learning service along with John. Firstly, I would like to reassure that you we don't make a distinction between core and non-core users. Our service is based on user needs and by following the GDS Design Principles (https://www.gov.uk/design-principles) are designing and building a service that will be accessible by all our users. We already have a plan in place to test this out with those using assistive technologies and those who do not. While there is no specific reference to accessibility in the 18 point Digital by Default Service Standard, we see this covered primarily in points 1 and 2, which focus on all the users, as well as points 10, 12, 13. We are aware of some of the challenges that face people trying to access and use the CSL site. 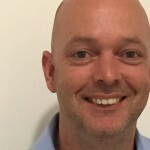 We want to make the new service more than just WCAG AA compliant, which is why we plan to engage with Alistair Duggin, Head of Accessibility, GDS and the Civil Service Disability Network (CSDN) to help us meet our goals.